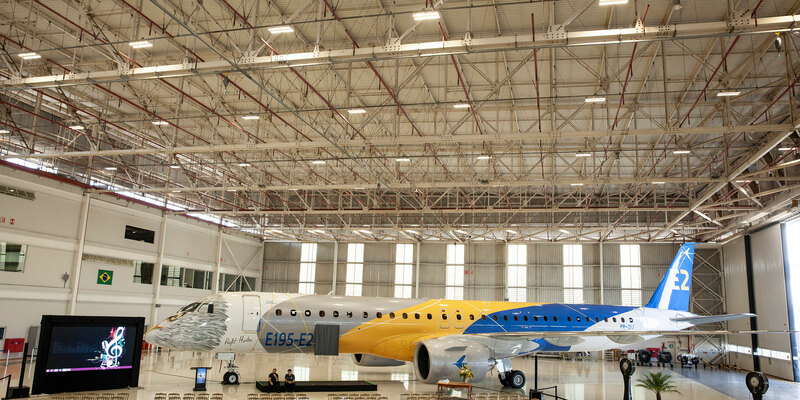 Embraer celebrated the triple-certification of its E195-2 today, having received nods from ANAC (the Brazilian aviation agency), the U.S. FAA, and Europe’s EASA. Paulo Cesar de Souza e Silva, Embraer president and CEO, praised his engineering and program teams, noting the E195-E2 joins the E190-E2 in achieving the three-tier certification hat trick. “They’ve built, and now have certification for, the most efficient single-aisle jet on the market. And they’ve done it again right on schedule and exceeding specification.” The E195-E2 tested out with fuel burn numbers 1.4 percent better than anticipated; a total of 25.4 percent better than the current-generation E195.